Posting negative comments on the Web about products and services is fast becoming the most popular channel for Chinese consumers to vent their spleen. Yet, behind this veneer of free expression lies a murky world of cyber bullies and unscrupulous webmasters who are manipulating the media to either promote or smear a company's image for profit. In a country with nearly 400 million Web users, online marketing has become a big business and has spawned a legion of Internet public relations agencies. Their services include not only getting a product seen but also removing any negative feedback they find. "Real estate, cars, electronics: These are usually the most lucrative when it comes to deleting negative posts," said Ma Mingdong, a 25-year-old Beijing blogger and online marketer. "Many people think it's complicated to delete posts but it isn't." 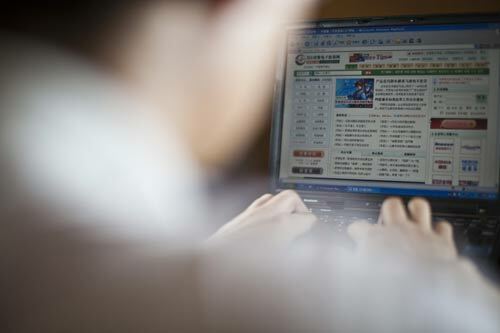 He said it costs just a few hundred yuan to bribe staff at a website or forum to delete posts, and if that fails, "paid posters" - netizens hired to leave fake comments and delete genuine ones - can use software to copy the official documents and identification that websites need before they agree to remove a comment. Posts can be deleted legitimately when a company or individual provides a copy of their ID card or business license, while many websites, including Baidu Post and tianya.cn, have issued statements saying they provide the service for free. 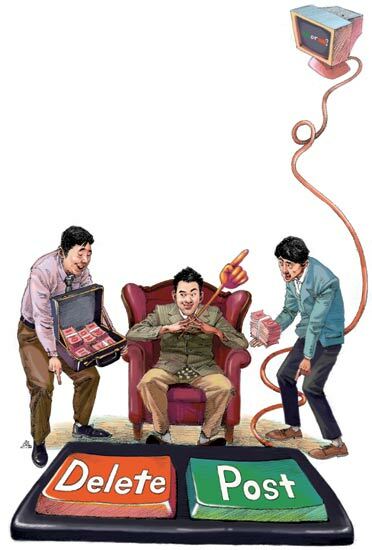 Several chat groups on QQ, the instant messaging service, have even become mini-trading centers where PR firms regularly advertise for paid posters, otherwise known as shuijun, the "water army". 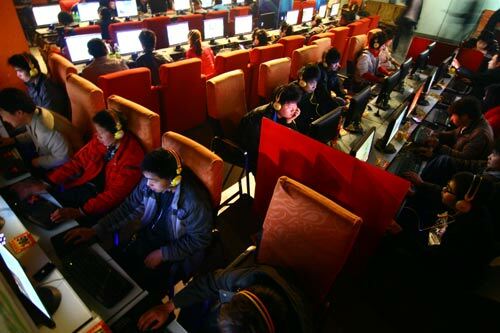 However, industry experts argue that the use of shuijun undermines consumer trust in the Web, as well as underlines the need for stricter policies to protect the rights of netizens and ensure fair competition. The China International PR Association also released guidelines shortly after World Consumer Rights Day - March 15 - that specifically bar marketers from paying to have genuine negative comments removed. With the vast amount of information uploaded every minute, though, the rule is virtually impossible to enforce. 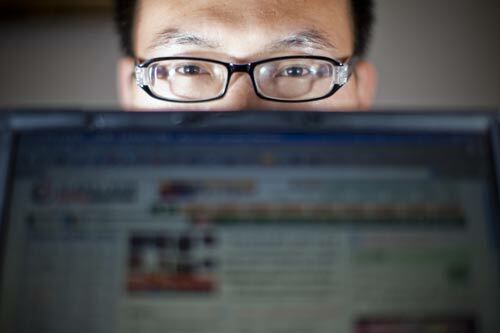 "Deleting posts and comments is part of our daily job," said a Beijing Web editor named Zhang who works at a popular online forum and has to review more than 2,000 comments each day. "There are so many topics that need to be monitored, and comments need to be deleted (for legitimate reasons) all the time. It would be very easy for me to delete negative posts about a company if I wanted to." More worrying, perhaps, is the growing use of fake negative comments by websites to pressure businesses into advertising with them. Wang Yu (not his real name) worked as a Web editor for a property website in Jiangsu province after graduating from college in 2007. He said his job involved copying various articles about real estate agents from other sites and then leaving fake complaints about them under any number of pre-registered usernames. "Negative comments are like intangible assets," said the 26-year-old, before explaining that the companies usually responded to his comments "about poor service and bad construction" by offering to advertise with the site - on condition that the posts are deleted. It is a common problem faced by many Chinese businesses, and can be particularly hard on small, family-run firms that cannot afford to hire a PR firm to protect their reputation. "Deleting news articles is difficult, but deleting posts from online forums is very common nowadays, only the price changes," said Li Haigang, founder of Caogen PR, an Internet marketing company. "If one of my clients gets negative posts on certain online forum, everyone would say, 'Oh, they are in trouble' - but only because this forum charges more than the others. "Of course, no one would list 'post deleting' as part of the contract," he added. "The deals (between the website and the companies) are made in the name of advertising." Although arguably ethically wrong, there is no law stopping this practice and is deemed legitimate if both sides reach an agreement. "Since these websites are private companies, they have the right to manage their content, which includes deleting posts," said Zhang Zhisheng, a lawyer with Beijing Zhongyin Law Firm. Wang Yu wrote about his experience and posted it online because he wanted to tell people not to pay too much attention to harsh comments. "Some of it is simply manipulation by Web editors, who are trying to cause a debate so that people can keep the conversation going," he said. Websites often run the risk of being sued for defamation if they refuse to delete comments about certain products. The most high-profile case was in 2007 when 315ts.net, a consumer protection website based in Beijing, was taken to court by two companies over posts they claimed damaged their image. Doctor Bai, a cosmetics firm, and BiosTime Inc, which makes health food for children, both filed lawsuits claiming the site had faked comments about their products. Judges eventually ruled in the website's favor because there was no evidence to suggest the posts were not genuine. "Enterprises have an obligation to tolerate criticism," was all Wang Fushan, chief executive of 315ts.net, would say about the outcome. Since the website was launched in 2005, it has received more than 700,000 complaints from customers across China. After the lawsuit, users were asked to register and provide contact information to ensure the validity of their comments. "We receive at least five calls a day from people asking us to remove complaints from our website," said the CEO, who insisted that his 30 staff members only delete content when a customer's problem is solved. "You can't depend on people's conscience to do the right thing, though," said Wang Fushan, who receives an e-notification every time a post is deleted. "You need a good system to prevent abuses from happening." Like many websites, 315ts.net generates its income from advertising and selling data analysis of its customer complaints. Before filing the lawsuit, Doctor Bai paid 5,000 yuan ($730) to place a product safety announcement on the site. However, Wang stressed: "Our advertising is completely separate from our content. Even if a company advertises with us, customers can still file complaints about them." The CEO said that although the websites that accept money to delete posts are breaching netizens' trust, the real problem lies with the companies that pay them. "No companies went bankrupt because of bad comments, they go out of business because of other problems," he added. The growing demand for deleting posts deals a real blow to the ongoing efforts to protect consumer rights in China. Many have turned to the Web to air their grievances because the other mechanisms on offer are slow, complicated and ineffective. People unhappy with products can file complaints with industrial and commercial bureaus, but as there are few institutions that provide independent tests, it is difficult for customers to back up their claims, especially when it comes to property, automobiles and electrical goods. Legal procedures are also expensive and time-consuming. The situation has led many consumers to believe that the best way to have a complaint heard is through publicity. A recent online survey by sina.com, a Chinese news website, found that one-third of the 783 netizens polled see the media as the most efficient way to solve a dispute. "Not all the disputes can be solved this way but I like to report my complaints to warn others that there is a problem," said Qu Lingdi, a network engineer in Beijing. Although PR expert Li Haigang said he believes deleting posts is still a "necessary measure", he admitted that "papering over the cracks" of a problem usually only leads to crisis in the future. "Communication is the best solution," he said. "If these bad comments are being generated by competitors, then we can find out the source and tell them to stop. Otherwise, we will fight back." However, the current law is too slow to prevent the fast spread of information on the Internet, he argued. "Do you know how long it takes a company to file a lawsuit against libel?" he asked. "Netizens' attention spans are very short, so it could be too late once a bad impression is made." For those people who have noticed their posts being deleted, however, they say they have already lost faith in what they read on the Web. "I don't trust websites anymore," said blogger Ma Mingdong, who has given up posting negative articles. "My posts are just tools for these websites to make money."